We’ve already heard from ecosystem players in South Africa, Kenya, Nigeria and Egypt, but now is the chance for stakeholders in the Ghanaian tech space to make their case. “Ghana is a great launchpad for startups, particularly those looking to enter additional African markets. Ghana has some key advantages compared to other West African countries, including user proximity, great local talent and opportunities for tech disruption. Businesses and consumers in Ghana aren’t as apprehensive about technology as they are in some neighbouring countries. They’re also more than willing to participate in customer validation and user testing. In other parts of West Africa, there’s a massive gap between users and startups that are much more difficult to overcome. “As well, there are areas which are ripe for tech disruption in Ghana. For instance, at Mest, we have several portfolio companies that offer tech solutions along every part of the construction and property supply chain, from bidding to construction management, to property management, as well as a real estate marketplace. In instances like this, those companies are able to build on one another and create a mini ecosystem. “I believe Ghana has some great strengths when it comes to the tech ecosystem. 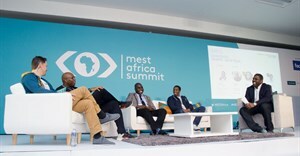 Mest has been a strong backbone of the community, training and pushing out tech talent and companies. The government has also recently shown great interest in the space by building the Accra digital centre, which is to be a home of the tech ecosystem. “Great tech companies like Hubtel and Rancard have become Pan-African brands. Ghanaians are also very forgiving, which allows tech products that are at an early stage, with many bugs, time to be improved. “The startup ecosystem in Ghana has over the last few years seen a tremendous turnaround. To begin with, incubators such as Mest, iSpace and others make it relatively easy for young, talented individuals to mould their ideas and concepts into successful businesses. “While challenges remain in the region, Ghana has seen an increase in the number of incubators and accelerators across the country. This means more support for startups and entrepreneurs. “Unlike most Africa tech ecosystems, the Ghanaian startup ecosystem is not centralised in one area, making it unique and, importantly, specialising in capacity building rather than trying to replicate an existing ecosystem model. We have, for example, Kumasi Hive focusing on hardware startups, iSpace focusing on female entrepreneurs and social impact startups, and The WorkShed, based in Tema, supporting creative startups. This ensures the talent pool is spread across the nation and forces startups to work together and also create products that are not location-based. There is much debate amongst entrepreneurs, investors and other stakeholders as to what African startup ecosystem is "biggest" or "best", and why. “The startup scene in Ghana has been undergoing a dynamic shift over the last few years, driven significantly by a lot of factors, including but not limited to a growing talent pool influenced by a proliferation of world-class universities, and a sudden barrage of returnees who have been influenced by world-class practices in mature markets and are hungry for greater successes and seeking to drive impact. “The last few years have seen a significant re-enforcement of rule and respect of law in Ghana which has significantly influenced investor confidence, with a positive impact on the capital generation which is critical for the startup scene. “The immense coordination and collaboration among stakeholders allow for effectiveness and growth through partnership, knowledge sharing and peer-to-peer learning. The Ghana Tech and Business Hubs Network (TBHNG)allows over 30 hubs across the country to collaborate effectively in promoting and advocating for an enabling environment for doing business and also grow local innovations. It serves as an ecosystem tool for partnership, collaboration and evidence-based policy on innovation and entrepreneurship. Such a formal country-level network of hubs is the first of its kind in Africa. “The Ghanaian ecosystem is unique because of its highly developed financial and industrial sector which is a result of extensive activity on responsible investment and corporate community investments. Its tech sector has also experienced exponential growth.